I bought this book in “Book Sale”. It only cost me P 20.00. I chose this one because it is good for toddlers. It has bright pictures inside that will surely catch the attention of my baby. Even on the first glance of it, you will see enticing pictures. This is actually the first book of my baby Caeden. I thought of buying him a book because I wanted to expose him on reading materials at an early age. His Pediatrician also advice me to let him read books as early as 3 months old so that he will know how to hold a book, flip pages and eventually get interested on it. The first time I gave him this book, I saw curiousness in his eyes. He sent me signals that he is eager to explore it; hence I started flipping the pages. As he saw the pictures, his eyes got bigger. He seems very interested on it. Thus it encouraged me to read it to him every day until he began pointing at the pictures while murmuring (baby talk) something. He smiles every flip of pages and even giggles. 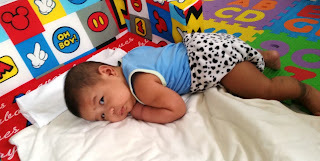 Now my baby is 4 months old, and I still continued reading him the book. In fact, this is our bonding time. I remember the day, while we were lying on his sofa, he started crying. I thought he was hungry so I offered him breast milk but he kept on pushing me. I checked his organic diaper, it was still dry. I started wondering what does he wants, when I looked at him, he was staring at his book while crying. So this made me got his book and held it closer to him. And finally, he stopped crying and started holding the book on his own. 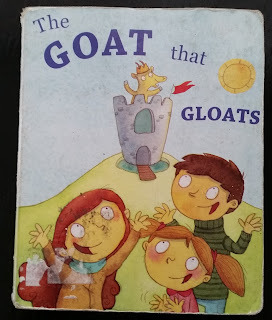 Sometimes it makes me think if he really understands the story of “The Goat that Gloats” because while I am reading him the book, he seems listening intently. Well, this is a funny thought that he really knows what the story is all about. At a very young age, does he really know that the goat is sad because he doesn’t have friends? Well, obviously he only enjoyed looking at the pictures. But who knows? 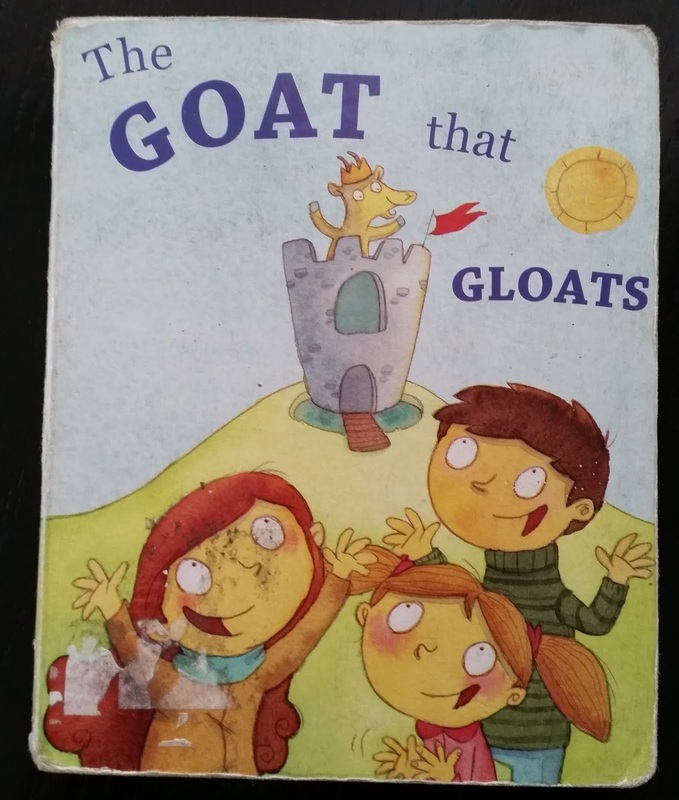 He might already know about the silly old goat! Lived a goat who was lonely; he wanted a friend. To the people who bustled below in the street. To the author of this book, I would like to express my gratitude for your wonderful work. My baby really enjoyed your book! Cheers for your success!!! This sounds like a great book. My twin granddaughters will love this. Awww look at your little munchkin so serious in reading. That would be a great start for him to love reading. that book looks interesting, base on your insight I have learned something what it is all about.. I love that photo of your son. He looks as if he's intently reading the book. So cute! 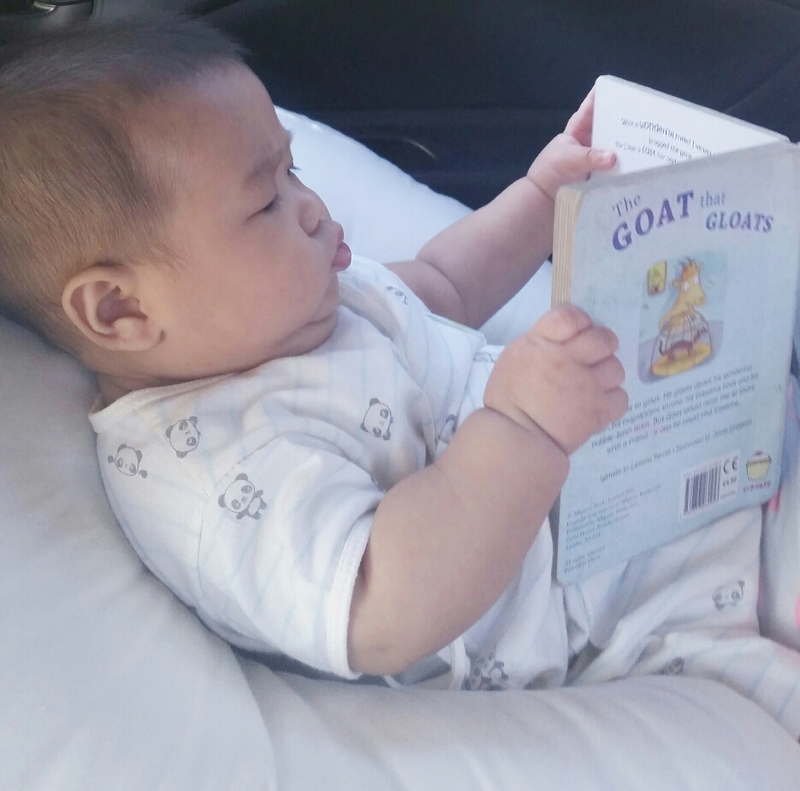 Exposing him to books early will surely make it easier for him to read and to love reading. Good job, Mommy! Naks naman what a great bargain for a seemingly nice toddler book. You put a big smile on my face! :-) I never expected that you will see my post about your book! I am so thrilled to read your comment in my blog. I am a BIG FAN of your work!! !